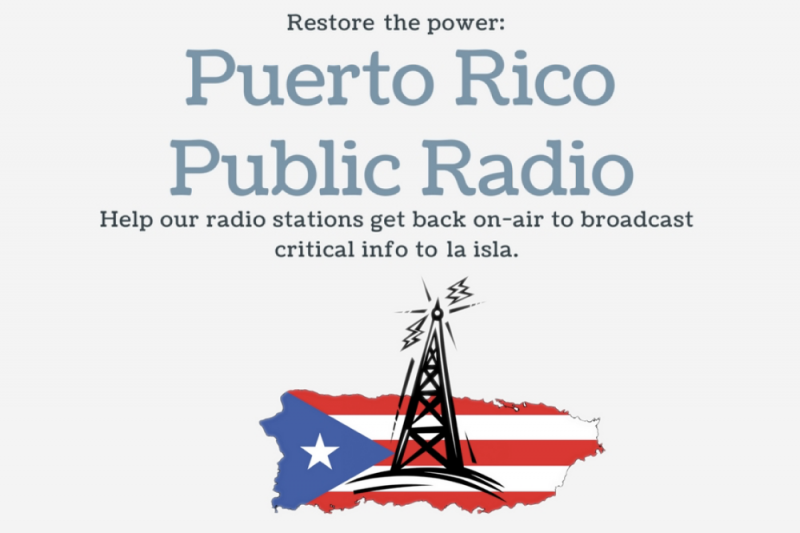 Fundraiser by Magaly Rivera : Get Puerto Rico Radio back On-Air! Get Puerto Rico Radio back On-Air! 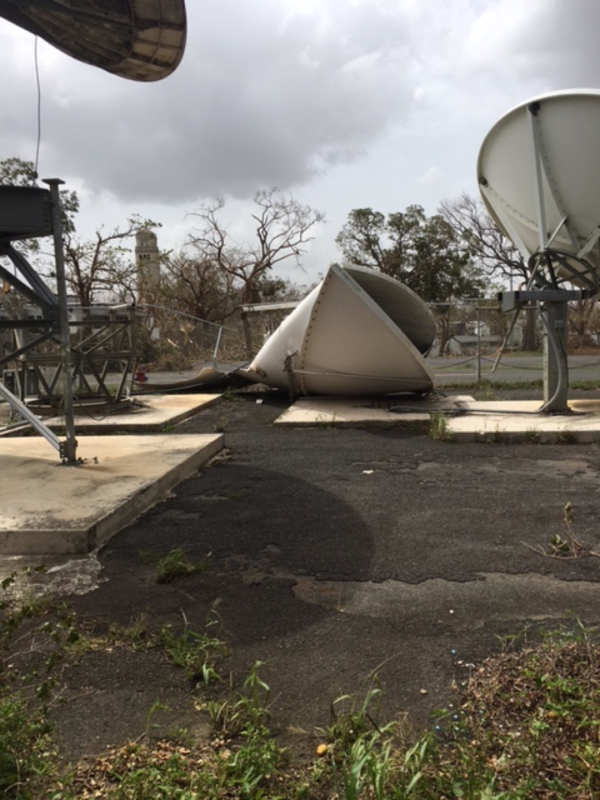 Public media (Radio & TV) in Puerto Rico has been knocked off the air after the island was battered by back-to-back hurricanes. 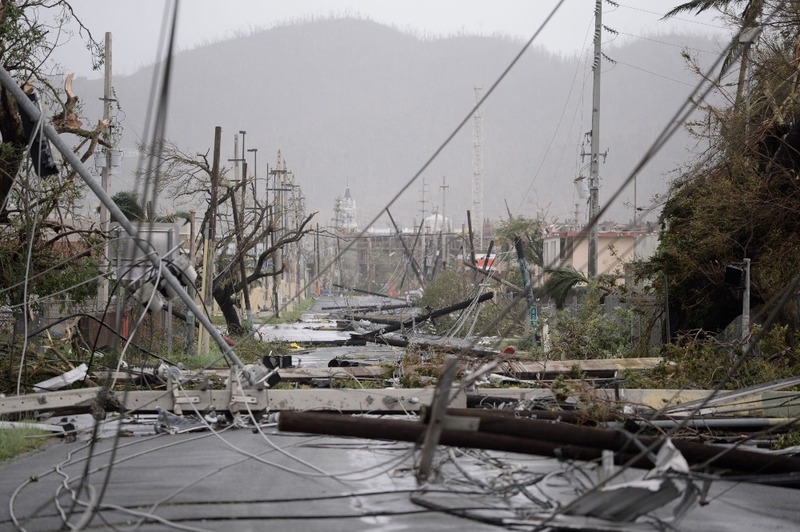 Communities in Puerto Rico rely on public media as their source for news and information, and these stations need to urgently get back on-air to help with the island's disaster recovery efforts. Being able to communicate with the public, especially in isolated areas, is of utmost importance. These stations need our help. WIPR-Puerto Rico Public Broadcasting Corp.
Over these next few weeks and months, Puerto Rican families will need information on how to get food, water, and other critical resources. Our goal is to raise funds to help restore power to these public radio stations in addition to supporting the infrastructure needs of these stations during this critical time. All funds received by Latino Public Radio Consortium will be split up among the five stations distributed directly to them. We will post updates from the stations as we receive information from them. Los medios de comunicación públicos (Radio y TV) en Puerto Rico han sido golpeados y estan fuera del aire después de que la isla fue golpeada por los huracanes consecutivos. Las comunidades en Puerto Rico se basan en los medios de comunicación públicos como su fuente de noticias e información, y estas estaciones necesitan urgentemente regresar al aire para ayudar con los esfuerzos de recuperación de la isla en caso de desastre. El hecho de poder comunicarse con el público, especialmente en áreas aisladas, es de suma importancia. Estas estaciones necesitan nuestra ayuda. Durante las próximas semanas y meses, las familias puertorriqueñas necesitarán información sobre cómo obtener comida, agua y otros recursos críticos. Nuestro objetivo es recaudar fondos para ayudar a restablecer el poder de estas estaciones de radio pública, además de apoyar las necesidades de infraestructura de estas estaciones durante este momento crítico. Todos los fondos recibidos por Latino Public Radio Consortium se dividirán entre las cinco estaciones distribuidas directamente a ellos. Publicaremos las actualizaciones de las estaciones a medida que recibamos información de ellas. LPRC's goal continues to be to provide $20,000 to each of our 5 stations to help them get and stay on-air. It has been more than 120 days since Hurricane Maria hit Puerto Rico. LPRC has been working with our Puerto Rico stations to help them get back on-air to keep the local communities in Puerto Rico informed. Today 3 of our 5 stations are back on-air as we have also obtained foundation funding while raising funds through this campaign. WE ARE TRULY GRATEFUL to you, our supporters for your individual donations, each donation from $1 to $3,000 received is an achievement towards our goal and demonstrates you care about public media. THANK YOU. These stations are currently on-air operating with generators and diesel until electricity is fully restored to the island. As such, there continues to be a need for cash donations, so please share and encourage a colleague, friend, family member, etc. to donate to this campaign. On January 31st, we will close this GoFundMe so we can deliver these much needed cash donations, equally, to our Puerto Rico stations. Please know LPRC will continue to work with the stations to bring them back to full capacity. Hence, you can donate anytime via: https://latinopublicradioconsortium.org/donate/. In addition via the same link, you can also become a long-term supporter where you select a specific station and become a Madrina/Padrino Supporter! 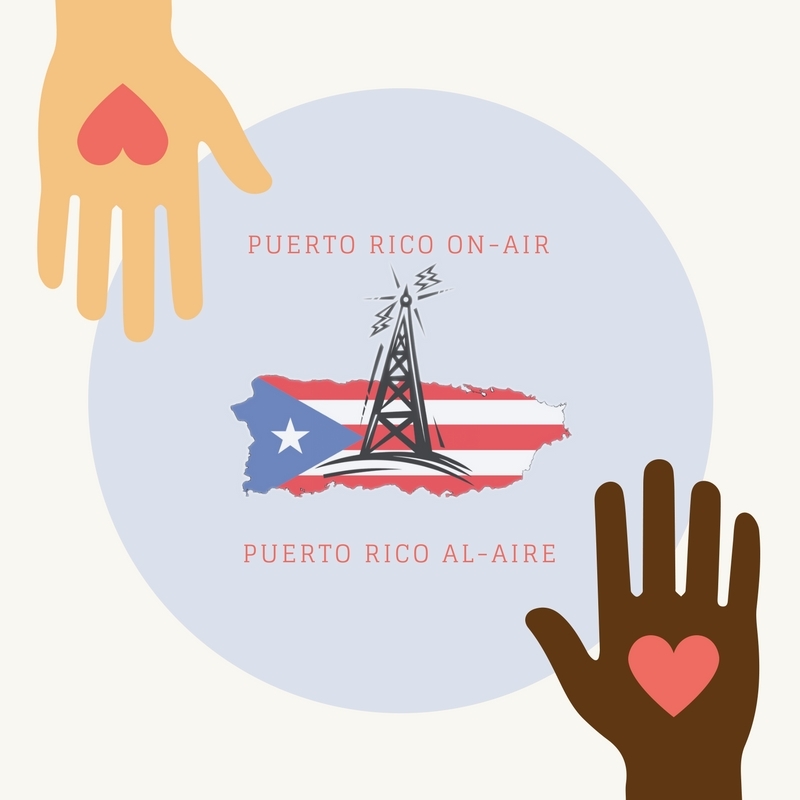 In closing, on behalf of our Puerto Rico stations, thank you again for caring and please feel free to subscribe for updated information on all our stations via: https://latinopublicradioconsortium.org/mas/ and follow us via: @latpubradio on Twitter, Facebook & Instagram. We leave you with this touching video produced by WMFE Orlando as they arrived with radio equipment for one of our Puerto Rico stations. 90.7 WMFE produced this video of the journey that took place to get a 2nd radio-to-go kit from the Coast Alaska station to Orlando, then Puerto Rico for Radio Universidad de Puerto Rico. Truly touching insight into the journey. We remain grateful for your donation which will be utilized by stations to defray diesel costs. WMFE delivers radio equipment to WRUO! LPRC is sending this week two Engineers thanks to support from CPB & WNYC Radio to assist WIPR to get their radio FM & TV back on air. Donations are still needed to assist our remaining four  stations. Please support to get our Puerto Rico stations back on-air.